Today at the AMAZING Disney Social Media Moms Conference in Orlando, President of Disney Parks and Resorts, Meg Crofton spoke with a group of influential Mom Bloggers and announced some major revisions and changes to the Disney Parks that will make the experience for families much more fun and memorable. This is the largest expansion in Magic Kingdom history, which will nearly double the size of Fantasyland. Crofton spoke about the joy that parents and their kids have on historic rides like Dumbo but admitted the wait time is too long. 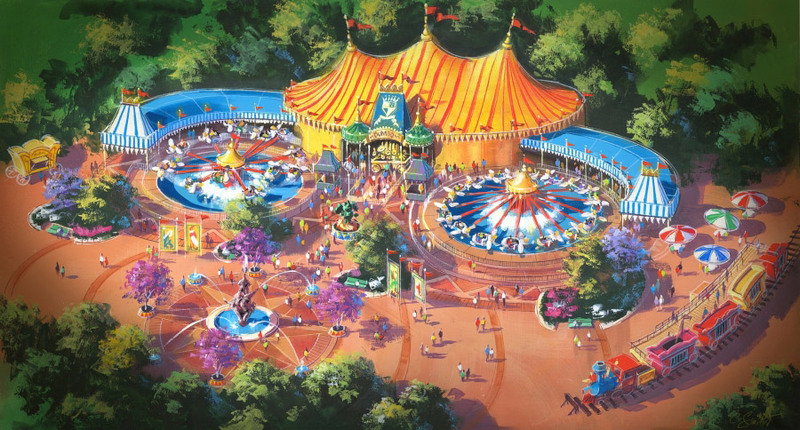 So to better the experience, Disney is creating a Double Dumbo ride for families and parents will spend the Pre-ride time indoors in the comfort of air conditioning. The Storybook Circus will include a chance to join the circus and step inside the Big Top for fun-filled interactive experiences for kids of all ages. Alongside Dumbo the Flying Elephant, the existing Barnstormer is getting a new look as well, featuring Goofy as The Great Goofini. 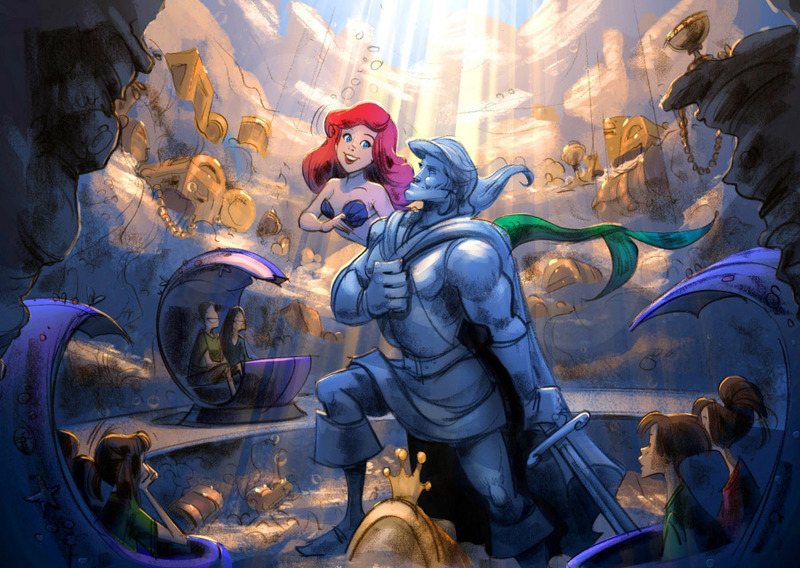 There is work that is underway for a Little Mermaid attraction called Under the Sea: Journey of the Little Mermaid. During this ride Ariel and all her friends will entertain you in a ride-through adventure featuring favorite songs from the popular animated feature. Not too far from Ariel’s new home, construction is underway on Beast’s castle which will stand majestically upon a hill. You will cross over a stone bridge as you arrive at Be Our Guest Restaurant. Set in the halls of the Beast’s Castle, this location will seat up to 550 guests and offer “great food fast” service by day and full table service dining in the evening. Just outside the restaurant, you will also be able to explore Belle’s Village, which includes Gaston’s Tavern and Bonjour! Village Gifts. Nearby at Belle’s cottage, a magical mirror is the doorway to a captivating new kind of experience, where Belle, Lumiere and guests participate in a lively re-telling of the “tale as old as time.” In Enchanted Tales with Belle, the adventure begins at Maurice’s cottage, where you’ll step through an enchanted mirror that magically transports you to Beast’s library for an interactive storytelling session with Belle. Also Prince Eric’s castle for Under the Sea and the Seven Dwarfs Mines Train will both open in 2012. The Seven Dwarfs Mine Train will take you on a rollicking, musical ride into the mine “where a million diamonds shine.” The coaster will feature a first-of-its kind ride system with a train of ride vehicles that swing back and forth as they whisk along the track. The whole attraction will look like a Circus. When me and my kids visited Magic Kingdom yesterday we could see all the work in progress. Disney is also opening the Art of Animation Resort. The 1st of the three phases will have all family suites and room for a family of 6 to spread out. 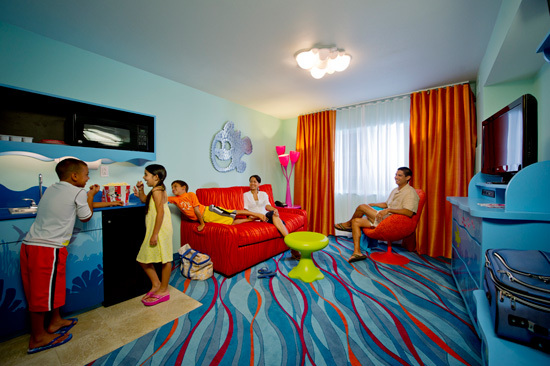 Crofton said the suites place you into the word of Disney animated films… Disney’s Art of Animation Family Suites will be available at Finding Nemo, Cars and The Lion King Courtyard areas at the resort. They’ll be twice the size of standard rooms and can accommodate up to six guests. The Little Mermaid standard rooms will sleep up to four guests also be available in late 2012. The New Fantasyland will be constructed in phases with most new experiences open by 2013. We look forward to sharing more with you as our work progresses. This is such a wonderfully informative conference. There will be more blog posts to come. I loved what Meg Crofton said about us bloggers who said, the most powerful motivators come from the word of mouth social media. She said social media is the new word of mouth to cover the entire globe. As the Disney Social Moms Moms combined Twitter reach is more than 15 million impressions each week! That’s the POWER of Social Media! Glad to be a part of this AMAZING and life-changing conference. I am participating in the Georgia Social Media Moms conference and have paid a conference fee as part of the event. My opinions are my own. Day 1 – A Day and Night to Remember at the #DisneySMMoms conference! I bet the Fantasyland tour was great! I can’t wait until it opens.